While in the waiting room during my latest Herceptin treatment, I saw a new couple. They were clearly nervous and chatting with each other in the waiting room, eyes tentatively darting around at the rest of the people there. This couple was young in Cancer Years. In their late 30s or early 40s perhaps. The woman had long, lovely, straight brown hair, and the man was handsome and being very solicitous in his interactions with the woman. I knew which one had cancer. They were clearly new to chemo and this experience, and I empathized with how they felt sitting there waiting to hear about their treatment. It hadn't been that long since it was my initial chemo consultation too, and my husband and I had sat there leaning into each other wondering how this had happened. I am now as familiar with the oncology office as I am with my own living room. I know the rhythms of the place - the way you write your name and leave your card for when the receptionist is ready to process it, I know all of the nurses and which ones give "good stick." I know a lot of the patients and what they are being treated for. I'm like Norm on Cheers now - everybody knows my name and when I walk in, somebody slides a beer an infusion pole my way without my saying a word. At first, it was all so unfamiliar and scary. As I played with a two year old whose mother was waiting for her father, their eyes kept landing on me. Maybe because I was at ease, or maybe because we were decades younger than everybody else being treated there. I hope it wasn't because of my odd hair. I smiled at them in a way I hope was reassuring. During my 45 minute treatment that actually takes 2 hours (another thing I know and accept) I heard one of the nurses explaining the chemo drugs and side effects to them. I remember sitting for that talk too. As I was finished and left, I found myself in the elevator with them. They started brief chit-chat and then the husband got to the point. "Since early December. I'm finished with chemo now though, just doing Herceptin." "Breast. You?" looking at the woman. "What kind of chemo are you getting?" "Taxol" they both said at once. "Oh, I did that one. It's not nearly as bad as you think it is. I never got sick once. I did get tired at the end, but if you can just arrange it so you can sleep a lot and don't do anything strenuous, you'll be fine." The guy said earnestly, "You look really good" and I realized that is why they'd been curious about me. I move with purpose and energy - but I am a cancer patient. I'm in the infusion room, and people are hooking me up to IV bags, but I still look okay. I'm smiling and cheerful and happy to be sharing my iPhone and keys with two year olds. Maybe I gave them hope. Whatever it was, I laughed at his comment, and I rubbed my 1/4 inch of white hair. "I feel much better. But, my hair wasn't this color when I started!" The woman, naturally, clung to that and asked me about hair. Hair means more to us then men can know - we may have lung, breast, ovarian or colon cancer and yes, we are afraid - but we are also upset at the loss of our hair. I can honestly say I feel worse about walking around with this near-bald head showing than I do with one breast. Anyway, I told her the information she wanted to hear - how it falls out all at once. I described how weird it was to grab handfuls of hair and have big tufts of it come out and you can't even feel it. She asked if she should shave it, and I told her it would be a good idea, although she might want to wait until it starts. With long hair like that, it would be a horrible mess to just let fall out. It was a brief conversation and then we said good-bye. I don't know if their chemo day will be Wednesday, and if I'll see them again or not. I do hope my few minutes of sharing my experience helped her and her husband with this overwhelming situation they are facing. I remember how much I wanted to know what was going to happen to me at the beginning. I've realized as a cancer patient that you never will know what is going to happen to you. Living with uncertainty is part of the deal. But, along the way, a few questions can be answered and I hope I can do that here with this blog, as well as in person. So if you ever run into me, feel free to ask me anything. I'm not shy. Hey Ann, sounds like a great interaction with the cancer newbies. You never posted again after you mentioned your upcoming MUGA scan, but since you're still on Herceptin I assume it was okay. And it sounds like your energy is returning, so your red blood cells must have bounced back too! I had neoadjuvant chemo and my surgery is next week. My WBC was a little low last week, but seems to have come up to acceptable levels - I'm glad as I didn't want to postpone the inevitable. I continue with Herceptin on June 3, 2 days before my first wedding anniversary. Do I know how to celebrate or what? have a good weekend and keep posting! I guess I still have residual chemo brain. :) My MUGA was fine - in fact, he even said it was better than before the first one. It was anemia causing the breathlessness. I had herceptin Wednesday and got my bloodwork done, and I've been feeling so much better I thought my blood would be normal. I am surprised to see it isn't. I'm still anemic and have low whites, although they have come up a bit since the previous three weeks. Not enough to have my next surgery though. What is your surgery going to be Sue? 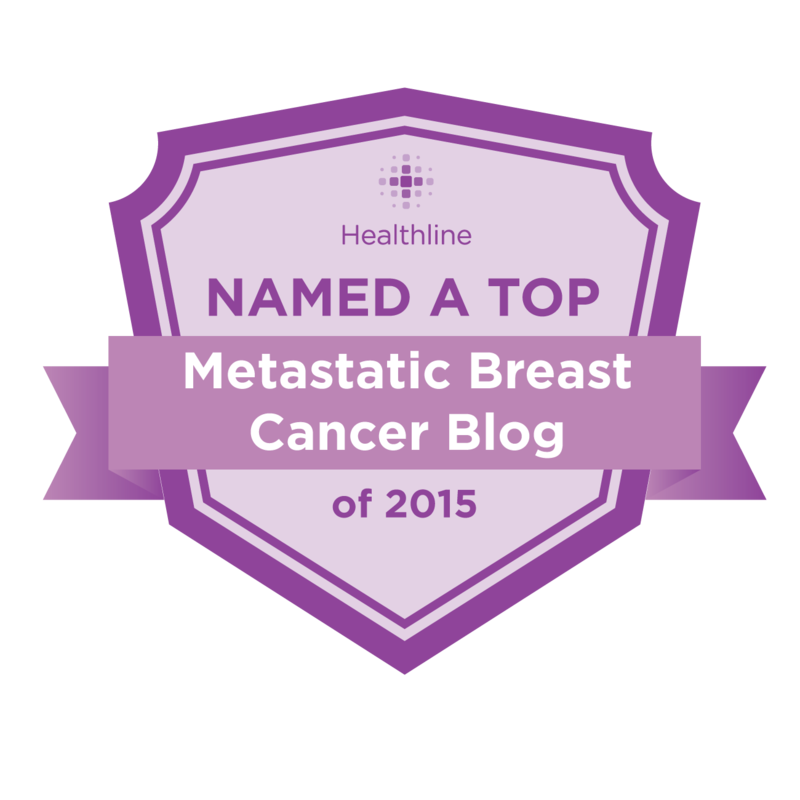 Lumpectomy or mastectomy? The herceptin won't interfere with your anniversary plans - I have zero side effects from it that I can tell (except a runny nose) but it took me a while to feel normal after the mastectomy. I'll be having unilateral MX with immediate DIEP recon. I know that is a "hard" surgery so we may have to postpone anniversary celebrations a bit. Your exchange surgery is your next one? I'm sure you're ready to have that TE removed. Oh, you are lucky to get the DIEP. I wish I could have had it - it ends up looking so good! But yeah, I've heard that recovery can be a difficult process. Maybe your hubby will cook you something special instead and you can have a romantic night at home. Yes, exchange surgery. I haven't written this yet either but at my last appointment, they didn't do anymore fills. Skin is too tight so it is what it is. So now waiting blood healthy enough to get the implant. He's warned me it's not going to look great because of my anatomy - and I "might" become a B cup, (I was a C) but it's got to be more comfortable than this big plastic bag inside my chest! Carolyn!!!! You are THAT Carolyn! I'm so glad you catch up with you - email me. I have wondered where you've been! I'm sorry to hear about your dad. Sometimes I think it's harder on the caregiver and loved ones than it is on the cancer patient. Thanks for sharing that very cool experience. It's wonderful to be an inspiration in that way. I had an experience meeting a group of newly diagnosed cancer patients. One of them asked me how long ago was I treated. You should have seen the reaction when I said, "Twenty three years ago." A guy was with me who 25+ years past treatment. They acted as if we were come kind of celebrities. It was wonderful to know we took some of their fear away.